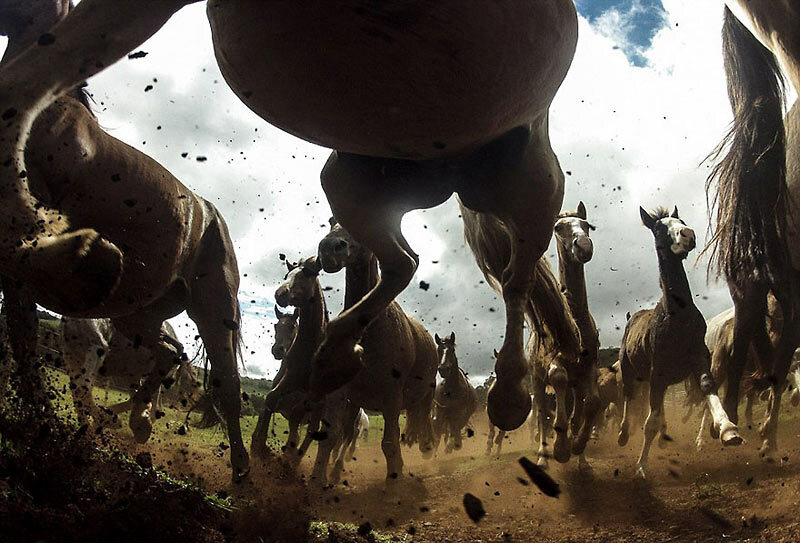 From a close-up of a wasp to a herd of wild horses: Everyone loves beautifully composed photos of majestic wildlife. An adventurous journey to different species and locations. We couldn`t pick a favorite. 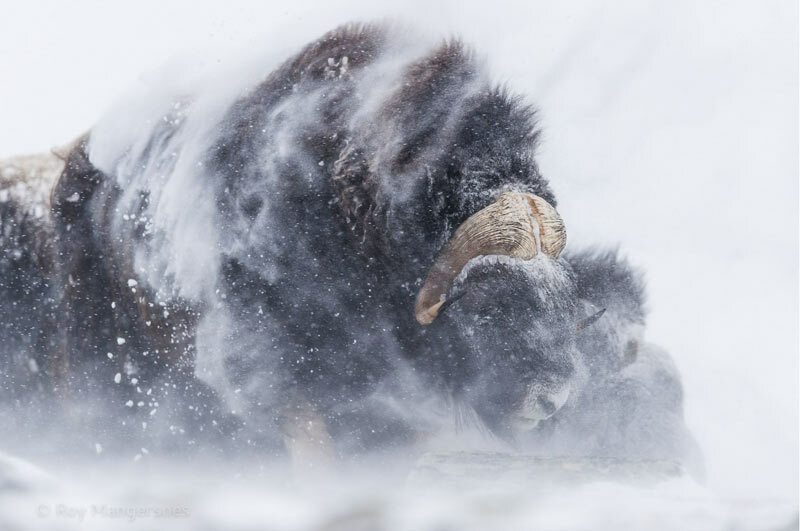 Here are 20 striking Wildlife Photography examples for your inspiration. 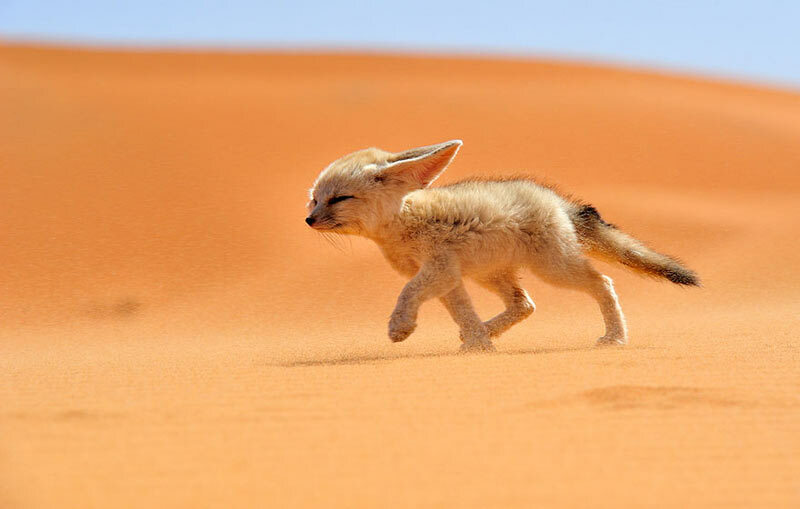 Look at this sweet guy: a fennec (desert fox) from Morocco. It`s the smallest species of the family. 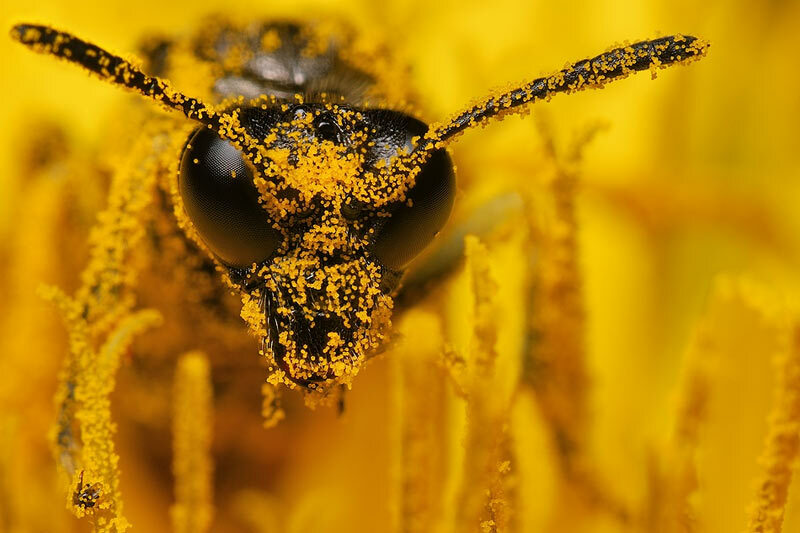 Boris Godfroid is an insect macro and nature photographer. Look at his colorful Insect portraits. Chris is famous for the highest quality of wildlife and nature pictures. The Criollo is the native horse of Uruguay. 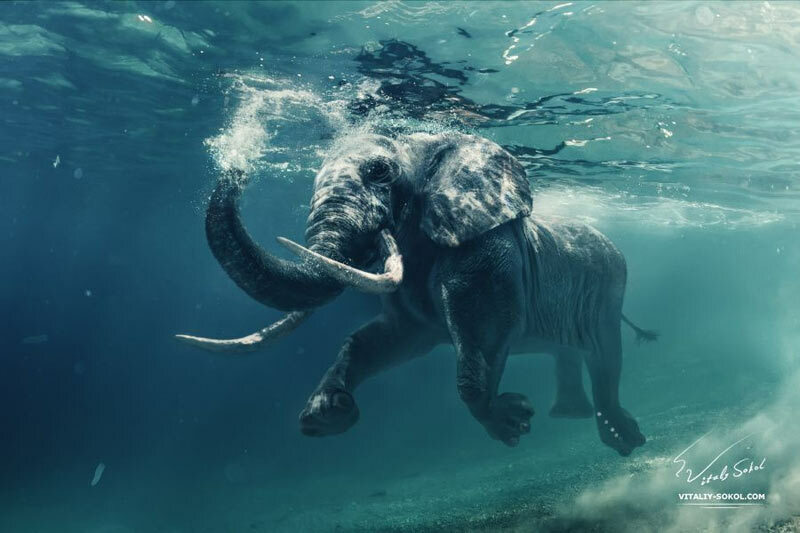 Vitaly Sokol loves underwater photography. One of the most challenging types of photography. 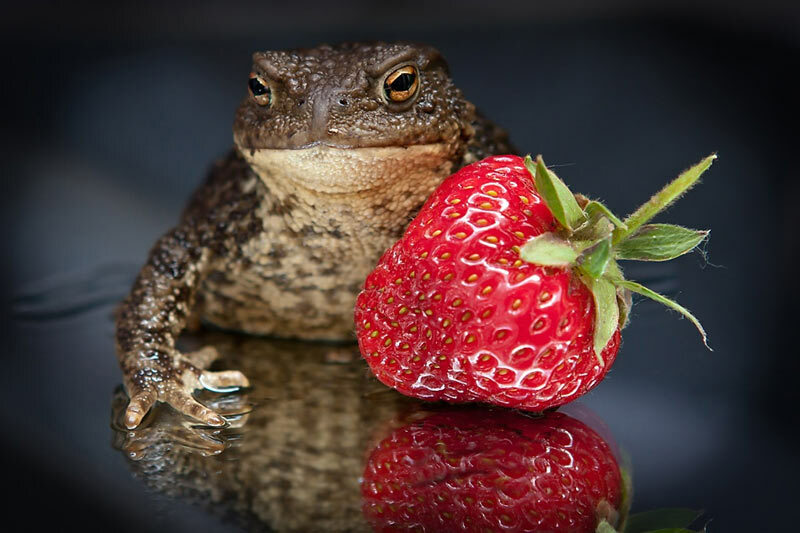 What a combination: a Frog and a strawberry. Great colors and sharp contrasts. Eric is a Self employed press technician, with a great passion for shooting nature photos. 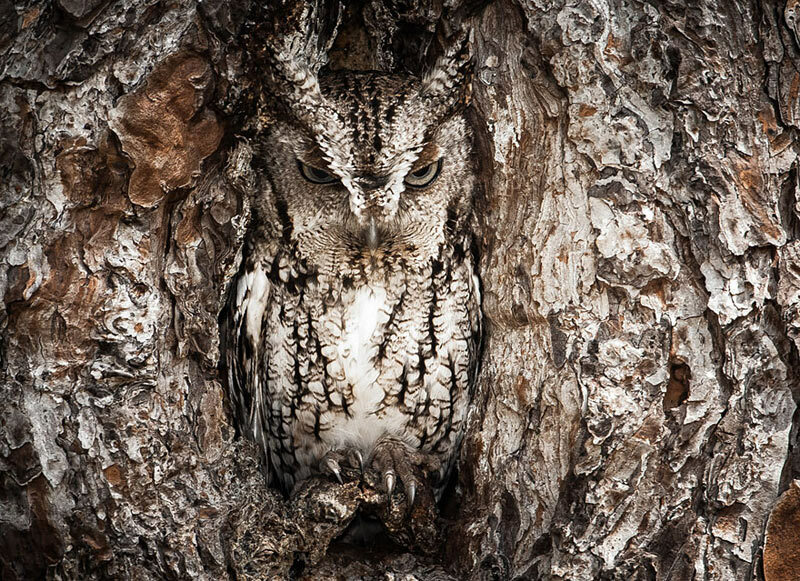 Graham McGeorge’s work is published in such publications as National Geographic, NY Times Magazine, BBC Wildlife Magazine and much more. The U.S. 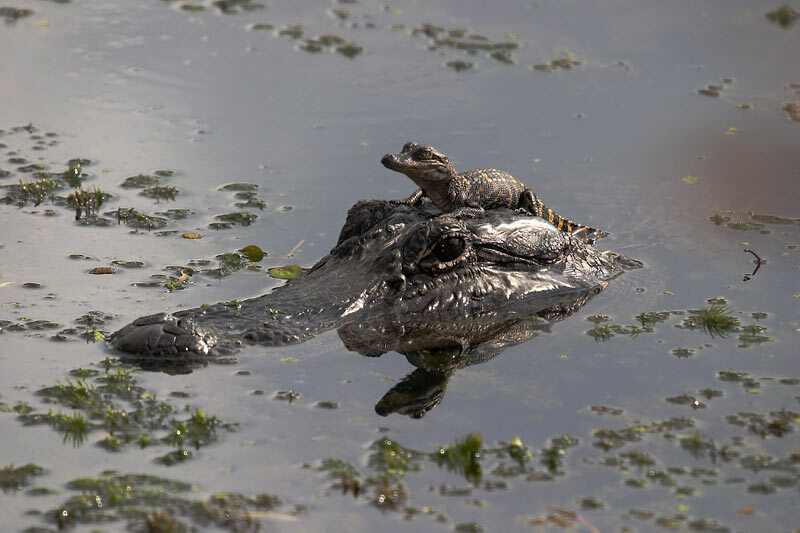 Fish and Wildlife Service loves Wildlife Photography. Take a look at the official Photostream. Sergey Polyushko is a Ukrainian photographer. 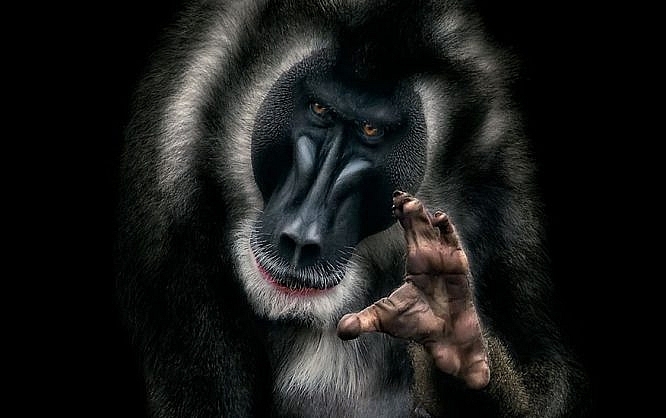 He mastered the art of eye-catching animal portraits. Georg Scharf is a nature photographer from Luxemburg. 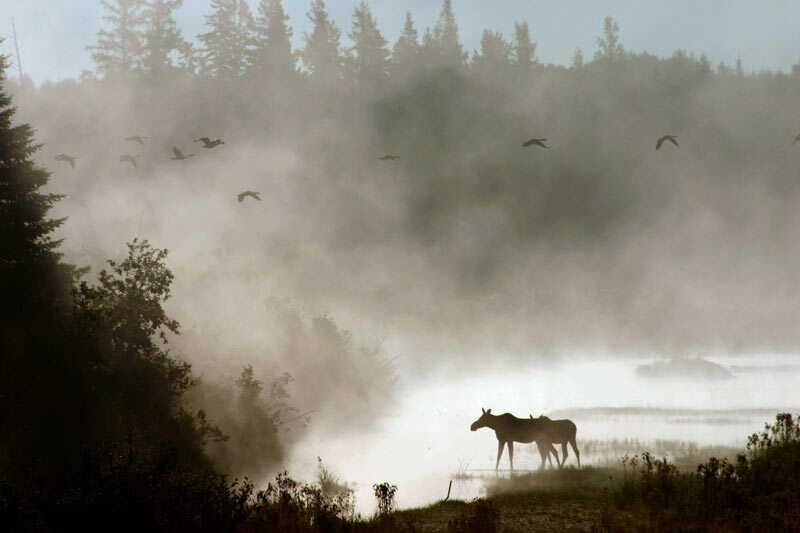 His landscapes and wildlife photos are spectacular. 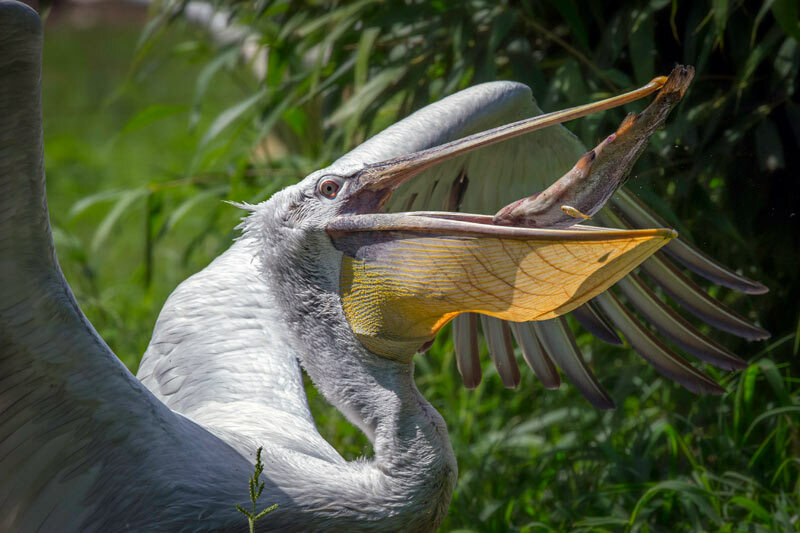 Hint: The pelican swallows everything. There’s also a small fish visible in the pic that ended the same way. 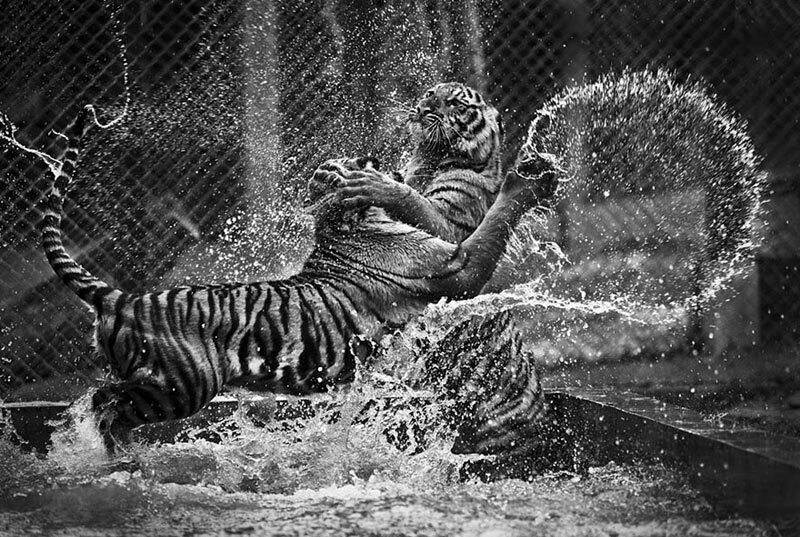 A play fight in some water at Tiger Palace in Bangkok, Thailand. The capturing of movement is amazing. 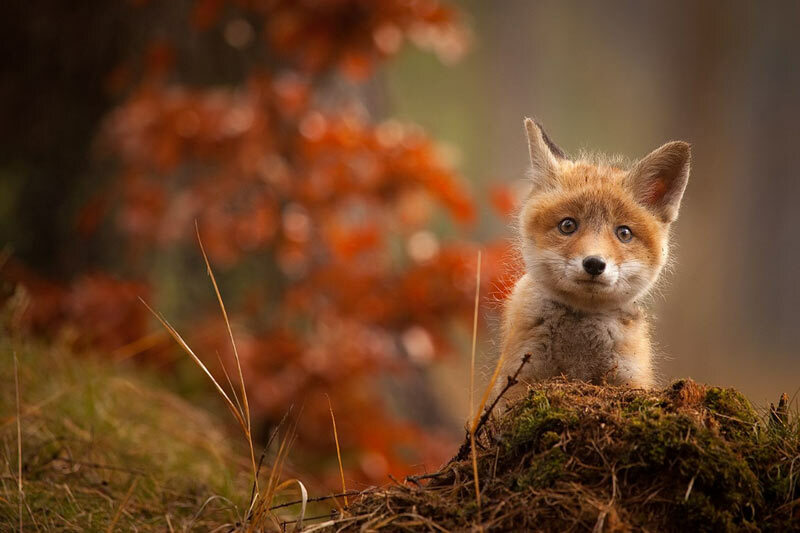 What a curious baby fox. Please take a look at Roberts galleries. 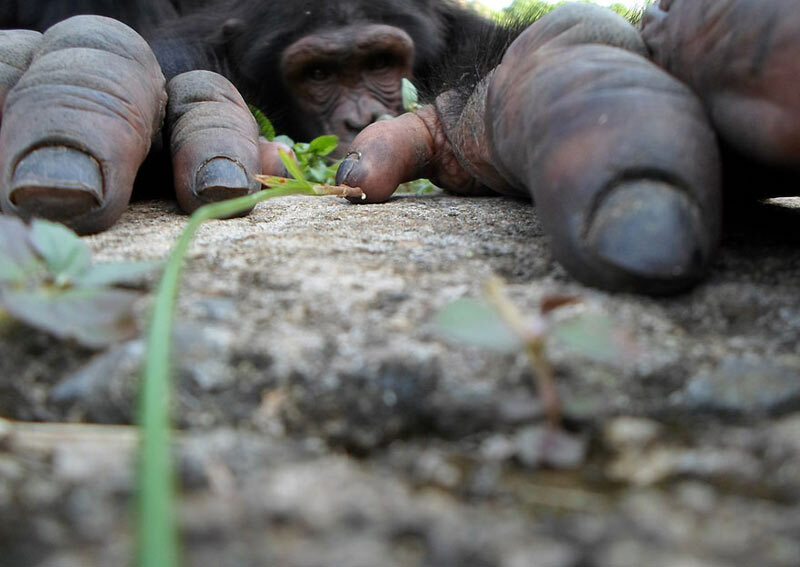 A chimpanzee at the Limbe Wildlife center in Cameroon. A playful peek from underneath the thence. 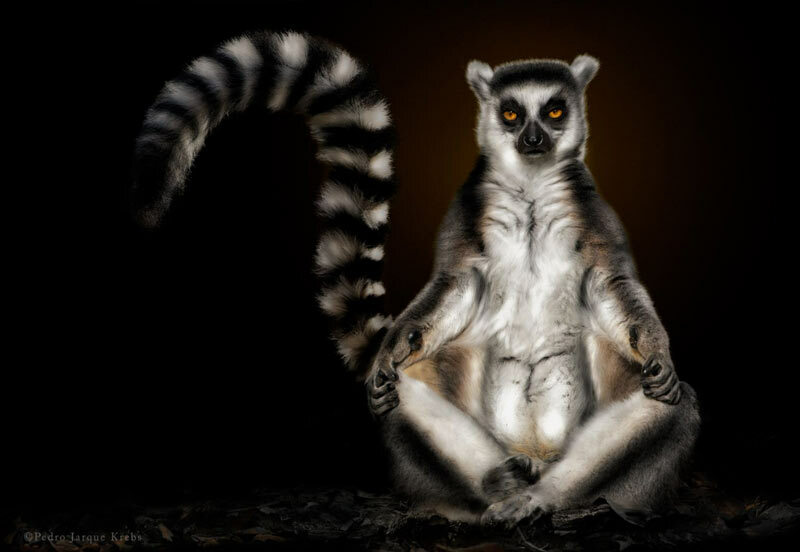 Pedro Jarque Krebs is one of the best nature and wildlife photographers that you should know. 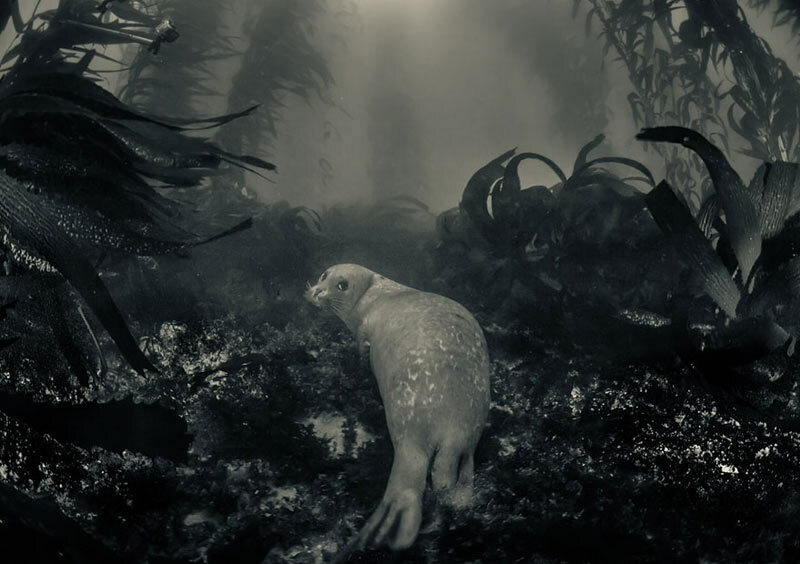 A harbor seal rests, if only for a moment, in this magic scenery. Gorgeous blend of sharpness and blur. And saturated colors! Richard has specialized in environmental filmmaking and nature photography. 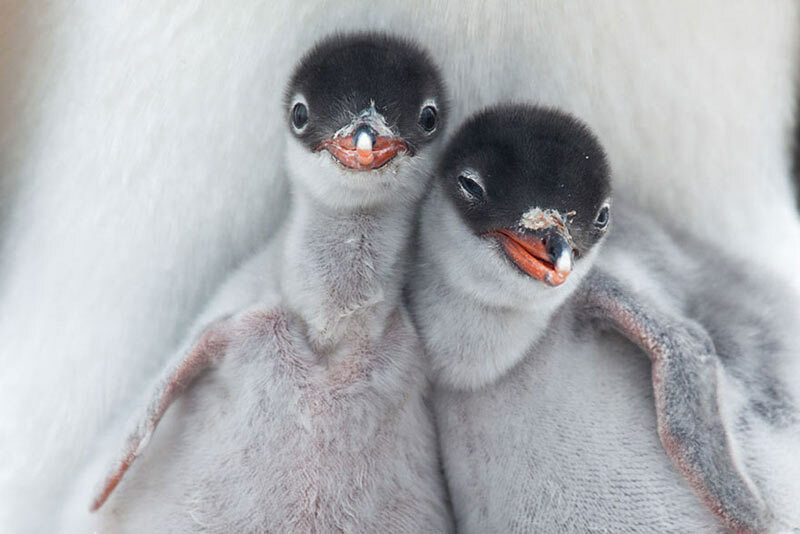 These are two newly hatched Gentoo Penguin chicks. 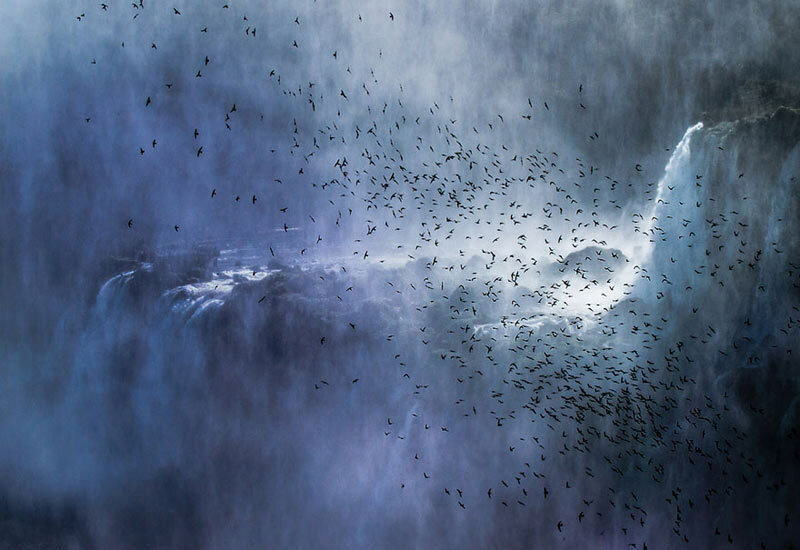 This picture was shot at the majestic Iguazú Falls. 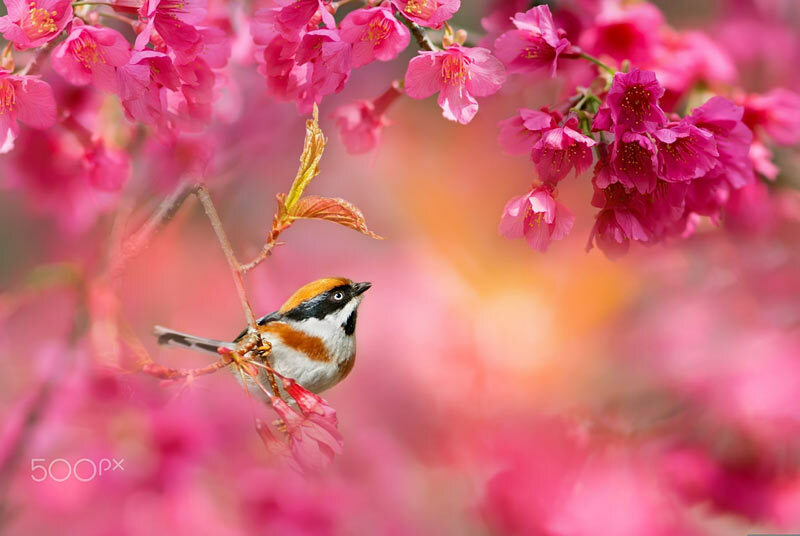 nice n great wild photography collection. every each was very good n great work.thanks for this picks and sharing this. Just saw your wildlife collections. Collections are excellent. Taking a good shot with the camera is tough. The photographer has to wait for serval hour to take a perfect shot. One more thing it also depends on the person who takes a photograph in such way. 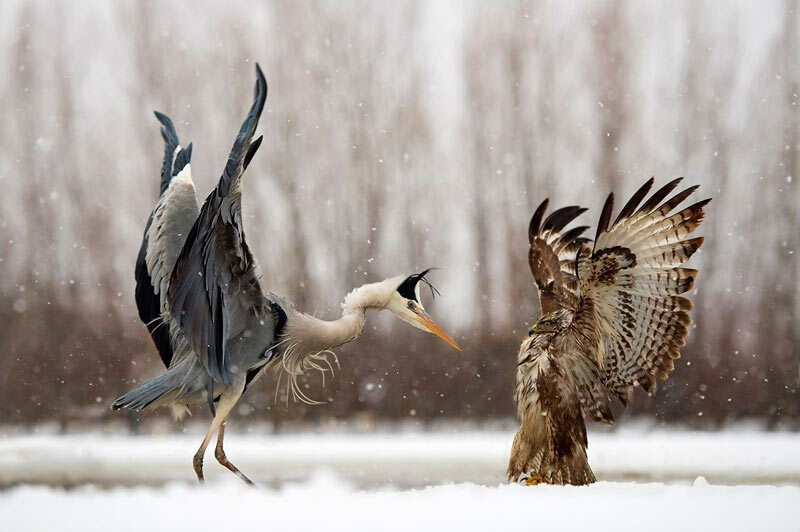 I can’t imagine even such type of wildlife photos… Its awesome…. thanks for sharing!!! The hands up photo is amazing, the timing on that one is nothing I’ve ever seen. Hi Dirk! 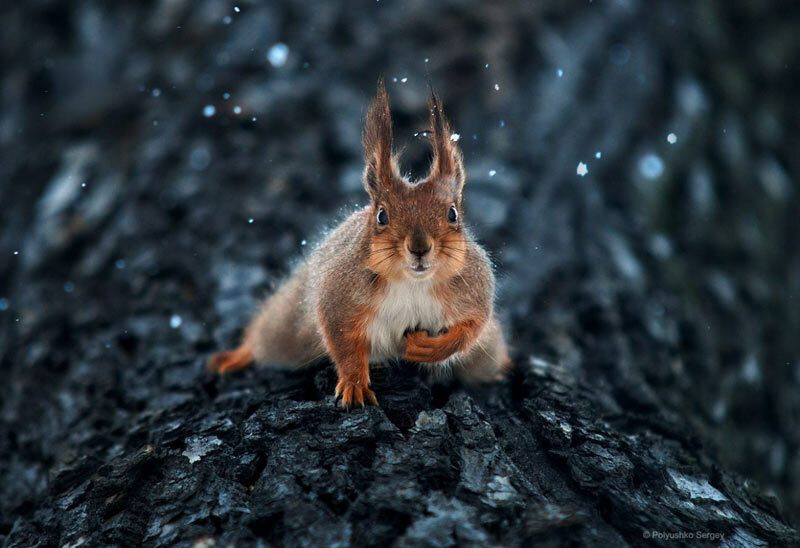 In all respects, it’s the best wildlife photo collections. For the first time, I saw your amazing collection of photography. We always like to look pretty things like that. Love this natural lighting photo. Amazing photos..Thank you for sharing this article.